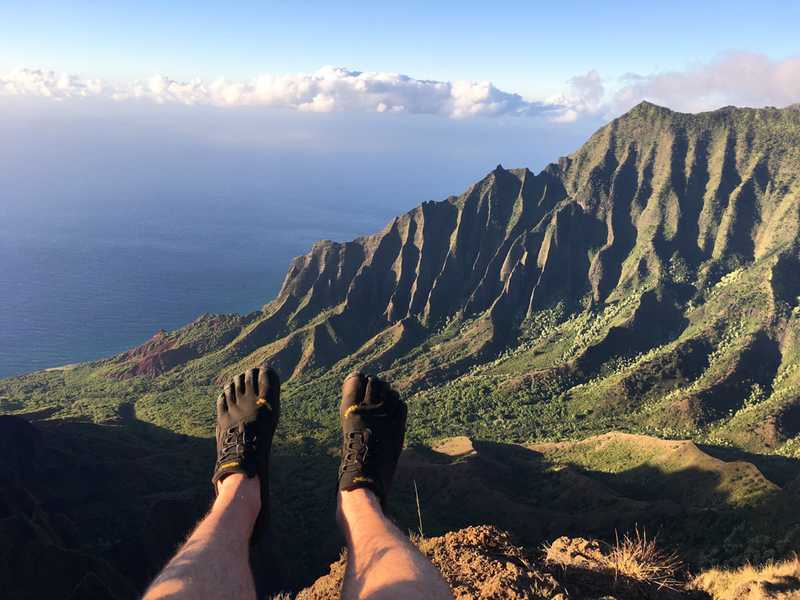 The Kalalau Lookout is probably one of the most beautiful locations I’ve been to. Had our trip not been so last minute, I definitely would have made sure to get a permit and backpack the Kalalau Trail. Since there aren’t too many compositions of this location and fiery sunsets are very rare, I had the thought of doing some star trails to get something different than everyone else that made the drive up there. Our first time to this location was too cloudy to attempt any night photography, so I left disappointed thinking I wouldn’t get the shot I wanted. We did end up making a second trip up the canyon to try again. 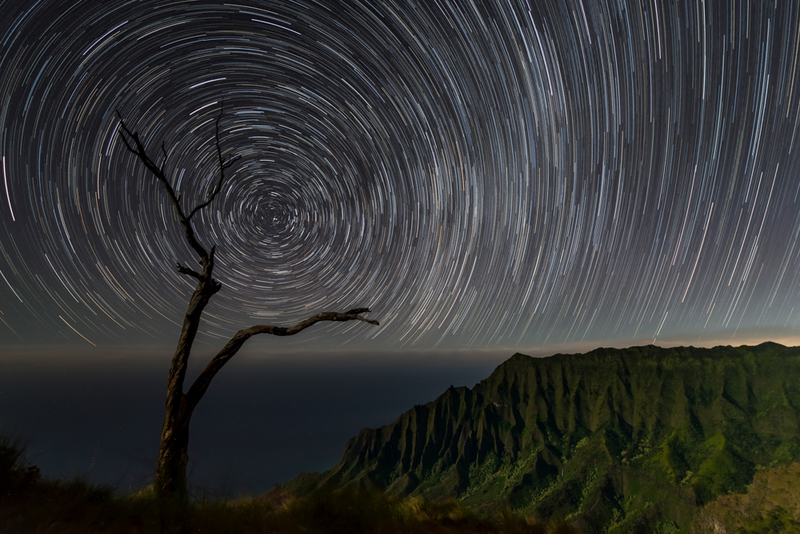 This time we hiked quite a bit lower down the Na Pali cliffs and came upon this scraggly looking tree which perfectly wraps around the North Star. We were extremely underprepared for the cold weather and winds while sitting on the edge of a 3000’+ cliff for a few hours, but the end result was completely worth it. It’s tough to beat the feeling you get when you are able to create a photo you’ve imagined in your head and is completely unique to the location. This photo is a combination of (15) 4 minute exposures to get an hour of star trails. I actually used a 3 stop GND to darken the sky and get its brightness more in line with the foreground so I wouldn’t have to try to blend in a different exposure of the mountains/tree in Photoshop.